Of all the social sharing, likes and hits services I've tried, Link Collider is my #1 fave. It's a very modern, well-developed cloud-based service that is simple to use and control from any web browser. It's a quite comprehensive 'All-In-One' SEO link building and social sharing platform with spintax support of all Titles and Description fields. It's elegantly designed and well implemented. Although there's many other competing Like Exchange and Share services, the user interface really sets it apart from others like AddMeFast or YouLikeHits. Link Collider's user interface is world-class SaaS programming and quite impressive! I spend about $1 a day across 20 sites/urls to get a huge variety of shares, likes, followers, and links. 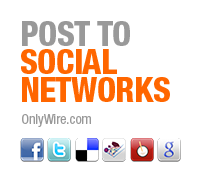 The service covers pretty much all the major, top-tier social sites WORTH posting to. Namely: FaceBook, Twitter, Tumblr, Pinterest, StumbleUpon, and Google+. (LinkedIn, Instagram and SoundCloud are a few of the major platforms that aren't currently supported.) Although you can promote 3 URLS for free by sharing content and earning daily credits, a basic paid account gives you set-it, forget-it promotion to 20 or more URL's. Other LinkCollider 'worker-bees' with free accounts do the sharing for you, so you can focus on more important content creation and marketing activities. LinkCollider recently added WordPress and Blogger blog post links as well to diversify backlink types beyond just social shares and signals. These yield more potentially permanent links. On the downside, they'll end up on random Blogspot and WP blogs mixed in with other shares - Uncategorized - and on blogs lacking any tight, niche-related topical theme. Link Collider also run their own mini blog network of about 3 dozen sub-domained sites that optionally generates one permanent backlink for each web page URL you have active each day. Though some of these blogs have surprisingly high Domain Authority - posts aren't even categorized and worse - Link Collider's blogs all sit on the same IP address, lowering your daily placed link's SEO value while leaving a huge footprint. They added a spintax checking *preview* option to the blog network backlink module recently which is very helpful in detecting and correcting bracket errors. Publishing with occasional visual spintax formatting glitches is a dead giveaway you're using spun content and automation. Though all of Link Collider's text fields support spun Titles and Descriptions for all submission types, spintax *preview* isn't (yet) implemented site-wide. They're working on it, and full spintax checking is much needed. Although there's options for click traffic and auto-surf website exposure too - I don't recommend you spend credits on those notoriously low-converting activities. You can simply un-check any share types you don't want at all, or disable them after you've received x-number of shares. For example, when I add a new URL I let it initially post to ALL the major services. However, after a dozen shares I typically turn-off Pinterest, StumbleUpon and Tumblr - and focus primarily on Google+, FaceBook and Twitter shares for the long haul. If you have a monthly paid account, you can set the daily limit for shares. I spread my daily credits across 20 URL's for slow and random share types over the course of the month. You can dynamically add / remove URL's to immediately stop and start promoting a different page or account. Particularly with highly visual sites, text-based shares don't get much if any traction. Without the ability to attach a preferred image to your Pinterest or Tumblr share, they just end up as dull text entries posted in someones Pin or Tumblr stream. Who's Sharing Content On Link Collider? If there's a major downside for me, the Link Collider user-base is very international. Most users earning credits for sharing your content are from, say, India, Malaysia, and other Asian Rim countries - but that's common with ALL of the link exchanges. I'd ideally prefer a more targeted and affluent USA following / users / shares for my affiliate marketing and I'm not getting as much of that as I'd like. Better geographical targeting is a sorely needed feature. Sadly, many of Link Collider's shares, likes, follows, etc, don't show up anywhere I can readily find or verify. Clearly SOME of them are happening - but may be occuring in other global Geo-Locations a North American internet user won't see. If a French user shares something on their country's Twitter.fr account - it's not going to show up anywhere in a Twitter.com stream in the USA. If you use any of the free Social Media Popularity link checkers online - (I like this one at SEOCentro) - you will see at least some of them are showing up in your growing share counts within a few days. So at least some of these social shares and signals are getting out there and getting crawled. FYI: I also leverage a SocialAdr account subscription for spun content social shares and bookmarks. At least there I get full reporting so I can fully verify if the link was posted, if the specific URL is still live, and can optionally download the links for running through a backlink indexing tool if I want to send more link-juice their way. SocialAdr also targets a very different set of Top-Tier social sharing sites, so I consider it an important adjunct to my social signal marketing process. LinkCollider provides it's own daily and cumulative share / follow counts for you to monitor as well, but there's NO easy way to confirm any of them. And the counts certainly aren't accurate. A particular SEO FaceBook Fan Page I run now has about 62 followers - though LinkCollider tells me (and has spent my credits) supposedly getting me well over 200. The same with Twitter where Link Collider may say I got a dozen follows that day - but in my Twitter Notifications panel I might only see a couple of new followers. That said, Link Collider does seem to be growing my social followings slow and steady: I'm using it specifically for Twitter, Pinterest and FaceBook account building. As long as I'm getting incremental Fan growth very cheaply, maybe that's okay. I look at it somewhat like high-PR web directory submissions - you submit to a 100 directory sites, and maybe end up with a dozen actual approved links. It's worth keeping in mind most of these types of services all have a fair number of users posting to real-looking but 'fake' zombie accounts. They'll share your content to earn credits -- but basically few humans ever see or interact with their account activity. A simple Fiverr gig to register at dozens of social sites it all it takes - but these spammy accounts often lack social authority or followings of their own to amplify their activity. That said, some Link Collider users may share from their real, primary personal accounts - but might quickly delete/unfollow you shortly after they've earned points for it. However, it also possible that someone who's sharing has an actual interest in your niche, actively chooses to share your content, has a respectable following, and may engage with your content, site, or account long into the future. Is LinkCollider Safe To Use? On the simplest level there are only TWO kinds of websites / pages / posts out there on the internet: Those that get shared, liked, and visits - and those that don't. It's important to TRY to get visibility for your content in whatever ways you can. 'Crowd-Sourcing' is one way to get others helping you. How aggressive you are about acquiring likes and shares through Social and Traffic Exchanges is up to you. If you're like many internet and affiliate marketers, you have multiple sites, some of which desperately need ANY traction they can get. Others may be so penalized by Google that you've got nothing to lose SEO wise. If you're uncomfortable with share exchanges, you can initially experiment with them on sites that have nowhere to go but up. Or, use them LIGHTLY on money-sites to send a supplemental sprinkling of signals without being too heavy-handed. I figure many of the credits I spend don't have much direct ROI. But for a penny or less, it doesn't matter. We know the major search engines are at least monitoring social activity and mentions: Namely Google loves Twitter, and Bing and FaceBook have had long ties. We know social posts can help new content get crawled and ranking quicker. How these social mentions directly translate to higher organic search SERP rankings is still unknown. However, after using the service with a Basic paid account for a few months, the *CUMULATIVE* effects of all these shares are starting to add up to some direct traffic and slow but steadily growing a fanbase / following that I'd otherwise find hard to obtain. You can always try a Link Collider free trial and dabble with three site URL's or Social Accounts you'd like to promote.